The visiting Estonian football side took time out to share their knowl­edge of the game with the locals. 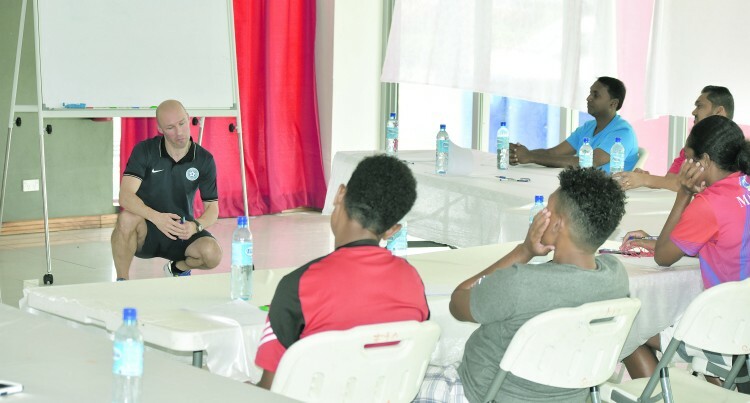 Estonia football coaching education head, Karel Voolaid held a session with some technical staff of the Fiji Football Association on Saturday. Fiji FA’s Technical Director, Ravinesh Kumar said, the session was quite fruitful for the partici­pants. “It was really nice to have someone from Europe to share their knowl­edge with us,” Kumar said. “From the session, we could say that coaching is not too different from what we have here. The basics are the same but it was really nice to have a professional explaining things to our young technical officials,” he said. Estonia will now travel to play matches in Vanuatu and New Caledonia.